With the exception of bank accounts and perhaps a few other notable items, there seems to be an obsession with making things smaller. We like things smaller and more powerful whether it’s phones, computer chips, or fertilizer. Yes, fertilizer. At least that’s the philosophy behind a process developed by Aqua-Yield the company calls Aquamization, which takes purified water and combines it with nanoparticles that are fused with fertilizer molecules. Put simply, the particles are so small they can easily and more efficiently enter a plant through the roots or leaf tissue, allowing growers to use less while increasing the impact they have on a crop. How much less? Aqua-Yield founder Clark Bell says macronutrient use can be decreased as much as 70% and micronutrient use as much as 80%. 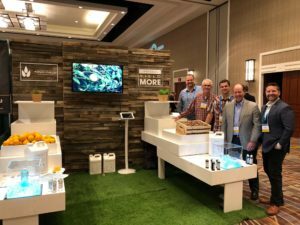 Continuing to innovate, Aqua-Yield recently introduced NanoPhos at the Agricultural Retailers Association at the Biltmore Hotel in Phoenix, AZ. NanoPhos offers growers improved phosphorus retention and application rates at only 4 ounces per acre. “We connected two thoughts — what was being done at the time with ultra-pure water and then what we were reading in scholarly articles about creating nanoparticles. Essentially we started conducting field trials,” Bell says. The results were immediate. On the family’s sod field that used the aqueous process, Bell saw a decrease in fertilizer use of 95%, and he was able to harvest the sod and send it to market six months sooner than the field that served as the control for comparison. Recognizing the process could be applied to crops, Bell started working with growers. 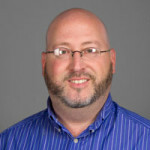 Bell cites a Texas onion grower whose onions not only grew larger using the aquamization process, but also were able to go to market two weeks earlier than before he used the company’s solution. “He got premiere pricing because they went out first,” Bell says. Aqua-Yield’s process can be sent direct to growers or through distributors. Product has been sold in Canada, Norway, South Africa, Australia, Japan, and most recently Bulgaria where it is being used on corn and sunflowers. Working with Arcadia, Florida-based Bethel TriYield, a technology and distributor partner, the process is “having a major, positive impact on the devastating physical and economic effects of HLB,” Bell says. During the 2014-15 growing season, in one field trial, Bethel Farms’ production increased 21% from an average of 224 boxes per acre to 270 boxes per acre. This was at a time when production across the rest of Florida was dropping. Bell is quick to point out the Aqua-Yield process does not “cure” HLB, it simply allows the plant to access the nutrients it needs more effectively than other methods. 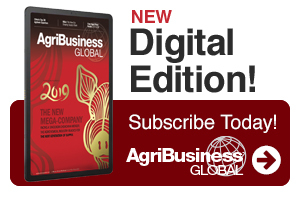 Dan Jacobs is the Editor for AgriBusiness Global magazine. You can email him at [email protected] See all author stories here.